Autogarage prides itself on being one of the areas best equipped car body repairers. We have the staff and equipment on site to repair anything from the most superficial of scratches through to the heaviest of accident damage. Using the latest vehicle repair technology and equipment, all repair work is carried out to original manufacturer specification. All work comes with a lifetime paint and labour guarantee and any manufacturer corrosion warranty will be honoured. 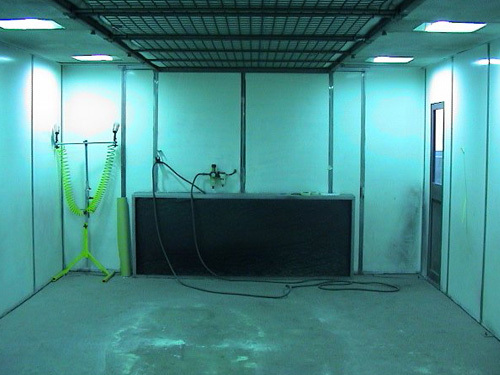 Our body shop is fully insured. Our paint shop is normally able to save faded, dull or lightly scratched paintwork, this can take a couple of hours to achieve but the results are normally worth it. Please discuss options and prices with our estimator. Small “car park dents” can often be removed without getting involved with paintwork, which can save both time and money, please feel free to call in and ask for a quote. 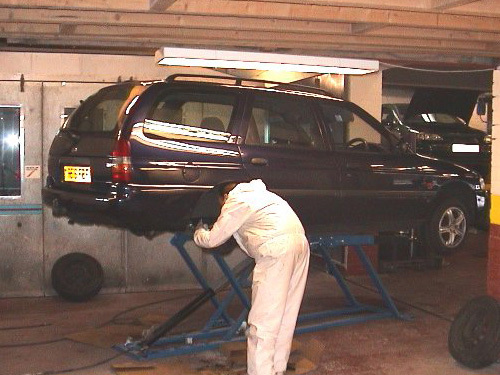 We can repair rust in body panels that are too expensive to replace. This is done by removing the affected area and welding in repair panels. This is commonly used for wheel arches, sills and the bottom of doors.